Champion provides more security for the dollar than any other brand. Stronger safe bodies – 100% continuous MIG welds and steel reinforced door casements on all models. Champion provides more door steel than its competitors – stronger doors with full inner door steel. More total steel weight. More steel means more security. All Champion safe models are made from 100% American-made, high-strength steel. All models feature four-way active boltworks – the ultimate in boltwork design. Champion has more complete and effective door defense systems. We build all of our own safes, NO China-built imports. Lifetime warranty on everything we build. 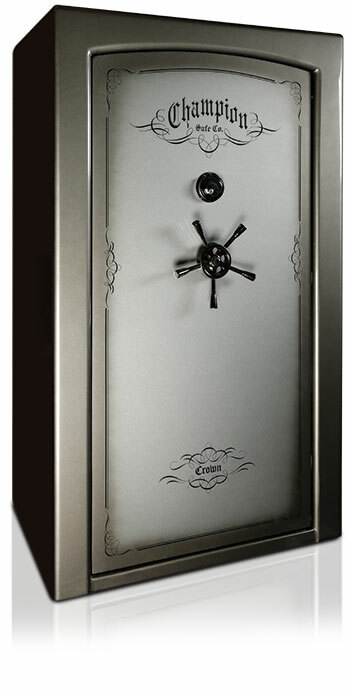 Champion Safe offers real security – no fluff & stuff to divert attention away from a steel deficient safe.